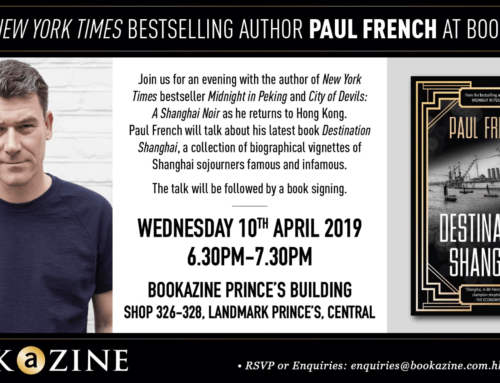 Home/authors, china, events, new books/Spiderman in Shanghai! Excited spectators gathered with their camera phones today to watch daredevil Alain Robert scale the 88-storey Jin Mao Tower in Shanghai. The 420-metre ascent ended in arrest for the fearless Frenchman, but he took it in his stride: having climbed the world’s three tallest buildings barehanded, he wasn’t about to let the fourth-tallest pass him by. SHANGHAI (Reuters) – France’s Alain Robert, renowned for climbing the world’s tallest buildings, wasn’t going to let 15 days in a Chinese jail deter him from an attempt at scaling China’s tallest building. Clad in a Spider-Man costume, the 44-year-old made a barehanded ascent and descent of the 88-storey Jin Mao Tower on Thursday, achieving the feat in 90 minutes. His feet had barely touched the ground when he was arrested by police. Robert had decided to mount the iron-and-glass structure without permission after authorities turned down two requests. “If you obey all the rules, you miss the fun,” Robert told Reuters in an interview ahead of his ascent of the 420.5-metre (1,380 foot) tower. Alain’s autobiography — With Bare Hands — is published by Blacksmith Books later this year. Join our mailing list to find out when! That guy deserves to where the outfit of blue and red!